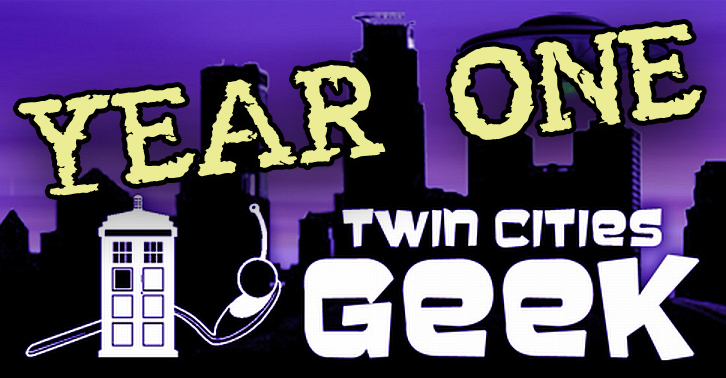 January 10th, 2016 was the one year anniversary of launching the Twin Cities Geek online magazine, so I wanted to talk about the project a little bit, since it mostly lives inside my head. I know a few folks have noticed what I’ve been up to, and I’ve certainly mentioned or alluded to it here and there, but I’ve never actually laid it all out. So this will be long, because again, I’m occasionally a verbose mofo. But first, let me nerd out about some data. Since its launch and as I write this, just over 300 articles have been posted on Twin Cities Geek. 229 unique events have been submitted to the Twin Cities Geek free community calendar. The forums are still fairly inactive with just shy of 30 topics, but I haven’t yet had the time to invest in seeding them properly. Presently—and keeping in mind this site is only one year old—TwinCitiesGeek.com gets around 3,500 unique visitors (the majority of whom are located in Minnesota) and 13,000 hits per month. Most of the site’s traffic is via social networks, which is what one would expect for a community-driven project like this. However, as more articles, events, and forum topics are posted, the site’s SEO only strengthens and there’s been a gradual increase in organic search traffic as one might expect. There isn’t any one reason behind TwinCitiesGeek.com; there are instead a small pile of reasons that culminated in the project. Geek (fandom) subculture has enjoyed a vibrant existence in the Twin Cities area of Minnesota for many, many decades. However, more often than not, when Minnesota geek events are covered by mainstream—or even non-mainstream—local media, the tone is less than flattering and/or completely misses the point of why we do what we do, or what makes our community unique, relevant, and valuable. This phenomenon was particularly hard to ignore after I spent a couple years running the Twin Cities Geeks Facebook discussion group; any and all media coverage of our community eventually makes its way there, and the group’s discontent over the coverage was a fairly common thread over time. Looking at the bigger picture, I was confident I could leverage my internet marketing, community building, and branding skills to make Twin Cities Geek something different. The tools are in my—in our—hands to be as relevant and accessible as any other mainstream independent media; the internet really is a great equalizer when it comes to exposure if those tools are leveraged with a bit of strategy and patience. With SEO, we can ensure that people googling events and aspects of our subculture find us right on the first page of their search results. With brand building such as engagement on social networks, outreach, and community partnerships, we can become a household name for Minnesota geeks and a go-to source for information within the subculture—one people can refer their friends to, making us also a de facto gateway into Minnesota geekdom and fandom. These are the ways we can and will control our own narrative. So, that is one significant general goal towards which TwinCitiesGeek.com is well underway. I’m aware that Twin Cities Geek is still small potatoes, but it is only one year old, and the growth it has experienced in that year has been quite significant. It will easily meet these goals in under five years if it continues on its current trend, and believe me that in internet marketing terms, that’s not nothing. Traditionally, large geek/fan communities organize around events and event planning—SFF, gaming, comic, and anime conventions, primarily. The reasons for this are pretty self-evident, right? Conventions are large social spaces, often annually available, to meet and exist in one place as a community. It only makes sense that conventions should serve as nexuses and bases of operations of our subculture. However, this structure also facilitates a sort of tribalism ubiquitous to geek subculture, which has two significant negative effects. First, this tribalism means that each tribe (convention community) has its own individual information distribution network, the result of which is that news travels quickly within the tribe, but often does not leave the tribe in any significant way. This makes it difficult for the tribe to learn and grow in the context of the larger culture, which in convention running terms, means they have trouble attracting new volunteers, presenters, and organizers. It’s a story you’ll see again and again in convention communities if you look for it. Unless a given tribe deliberately engages in community outreach—and many don’t, or they try and fail for a myriad of reasons—this all leads to the community becoming both insular and homogeneous, further exacerbating my next observation. Second, I’ve witnessed members of different tribes (affiliated with different conventions, or even factions within the same convention community) be downright crappy to one and other, as if they do not feel the need to treat those outside of their own tribe with the same patience, understanding, and respect as those within. I’ve also witnessed individuals and groups othered by a given tribe as a result of or in addition to gatekeeping. These interactions very often enter the general awareness of local geek subculture via either word-of-mouth or because they cause friction in public or semi-public spaces, which actually ends up creating a significant barrier to becoming involved with geek culture or expanding one’s involvement within the subculture. Besides being put off by perceived drama, one must be cognizant of all the different tribes and the dirty laundry between their members in order to avoid being caught in it oneself. It may be difficult to see from the inside, but for a newer person, this status quo can feel very overwhelming and ultimately just not worth it. Lack of shared local knowledge (the same mistakes are repeated over and over again in different spaces; problematic individuals expelled from one tribe are welcomed into another where they repeat poor behavior, etc). Not everyone has equal access to resources commonly associated with geek culture. Marginalized individuals tend to remain marginalized. Many people experience more strife and stress than is necessary. People launching new projects have an exceedingly difficult time getting the word out, given how big the audience actually is. For the purposes of Twin Cities Geek, geekdom shall be defined as a passionate and enthusiastic interest in a subject matter. A person could be a sci-fi geek, video game geek, or book geek just as much as a person could be an animal geek, car geek, sports geek, or more. Plainly, anyone who says they are a geek will be considered a geek. If this sort of thing sounds familiar to you, it might be because Twin Cities Geek occupies a similar space to Geek Partnership Society. But it is significantly different, and here’s how: where Geek Partnership Society’s focus is becoming the connective tissue between the various local tribes, offering logistics help and organizing club meetings, Twin Cities Geek is an attempt to create a totally new space to be a geek without tribes at all; to organize and inform the large local geek community without orchestrating of any kind of regular event planning; to create rallying point as inclusive as possible to anyone who identifies as “geek”. Everyone who participates in its virtual spaces begins and ends on equal footing, with the same expectations and access to information and resources as everyone else. It’s very much an in-progress, developing experiment in that regard, and I think however it plays out will have long-lasting significance. Creating community resources that everyone has equal access to, regardless of their affiliation with convention communities or clubs, is a key part of what I was just talking about insofar as a new approach to organizing local geek culture. A significant part of Twin Cities Geek is the free community calendar. The calendar is user-generated. Anybody may submit events to it, and as long as those events are not spam or X-rated, they get posted on the calendar. It’s a one stop shop for finding stuff to do in the Twin Cities area if you are geeky. This is, in part, an execution of the idea that everyone has equal access to information with regard to what resources are available to them as a geek in Minnesota. Lastly, and obviously, the news stories being generated by the site’s contributors are a community resource in that they help spread equal access to information that the community might want to have, in addition to just being entertaining and providing jumping off points for fannish conversations. It was immediately evident to me that Twin Cities Geek should be as representative as possible of the MN geek community with regard to content and voice. 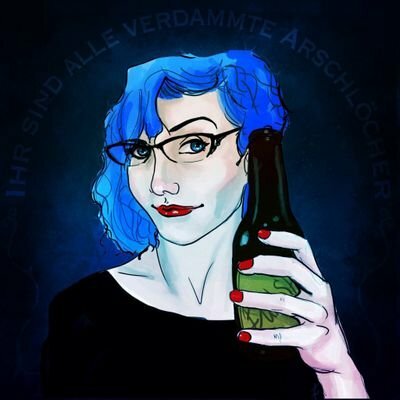 This necessitates an eye towards diversity, because our local geek community is very diverse—though you wouldn’t necessarily know that if the social tribes you spend your bandwidth on tend to be the more insular and homogeneous sort. But, really, yes, we Minnesota geeks (and geeks in general) are a pretty darn diverse crowd when you look at the bigger picture. It’s not about adding diversity for the sake of diversity, it’s about subtracting homogeneity for the sake of realism. Of course, she’s talking about fiction writing, but I think it applies for this project as well. If our community is already diverse—which it is—then the voices represented in this project MUST also be diverse in order to be relevant to as much as that community as possible. Furthermore, providing the perspectives of people with differing experiences furthers the goal of providing everyone in the local subculture equal access to information. The greater geek community in Minnesota is a very diverse one, and it is the mission of Twin Cities Geek to represent as many of the voices within it as possible, both at the writer and editorial levels. We strive for gender parity and welcome male, female, and non-binary contributers. We welcome geeks of color, and geeks from all cultural backgrounds. We welcome geeky LGBTQIA+ (Lesbian, Gay, Bisexual, Transexual, Queer, Intersex, Asexual) contributors. We welcome perspectives from geeks with disabilities, deaf geeks, and geeks in neurodiverse and mental health communities. Geeks young and old are welcome, as well as students. If you are a geek and you want to write for us, then we want you involved. It’s important to be deliberate about including those voices, because all voices are important—but also these voices generally just don’t get as much exposure as other voices. If Twin Cities Geek can be a boost to help them be heard, seen, and recognized by a community of which they are already part, then all the better. I think that’s a pretty easy and reasonable goal, so it’s been one from the beginning. Thank you all for helping make this thing a thing! And a special thank you to Twin Cities Geek senior editor Madeleine Vasaly, whose editing, judgement, and team management skills have really helped keep this thing going when I wasn’t available for whatever reason. Seriously you guys—she’s basically amazing. Click here to view current Twin Cities Geek staff. The next year for Twin Cities Geek will be all about growing our audience, much of which will be done by expanding coverage of locally-focused stories relevant to the Minnesota geek community. (In internet marketing terms: I’ll be putting much more of a focus on content marketing.) I also have already begun a new keyword map, and plan to write some landing pages to help boost the site’s organic traffic, which is just another form of outreach—but the site’s bounce rate is really low, so I think doing this will indeed help expand the community. I’d like to have regular users to the site grow at least 25% by Twin Cities Geek‘s second anniversary, and I think that’s possible. It’s likely I’ll begin experimenting with having more of a presence at events such as local conventions, possibly doing fan tables or something. We will see how much help I can get with that, because it will definitely be a factor in how much actually happens; I’m only one person, after all. I’d also like to try to get the forum going properly. I have a couple ideas for how to do that, but I’d love to hear some more if anyone has any. Man, that was super long. Just a peek into the sandbox that exists inside my head. I was trying to keep it short, too. Oh well. Anyway, if you’re reading this because you’re part of the Twin Cities Geek community, thanks for your participation, and do feel free to spread the word about the project, even if it’s just inviting your friends to like the Facebook page.